HTC revealed its much talked about smartphone, the new HTC One (M8), with a lot of pomp and show yesterday in London and New York simultaneously. The smartphone was also made available for retail at the same time in select markets, but India will have to wait. The company will be launching the new HTC One in India by the third week of April. HTC will be releasing the smartphone through a channel of 230 telecom operators in more than 100 countries. The Indian arm of the company, HTC India confirmed that the new smartphone will reach the country in the third week of April, while it did not comment on the pricing of the smart device. 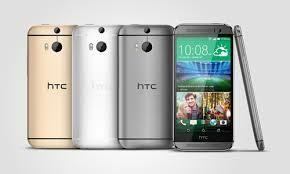 Online speculations suggest that the new HTC One (M8) is likely to be priced around Rs 45,000. And yes, the new HTC One does have dual-cameras on the rear, which also has Ultrapixel technology accompanied by a 5 MP front camera. HTC said, “The Duo Camera boasts a depth sensor in addition to the main HTC UltraPixelTM module, capturing detailed depth information from a scene and enabling a range of beautiful and creative effects that allow you to do more with your images than ever before,” in a company release.